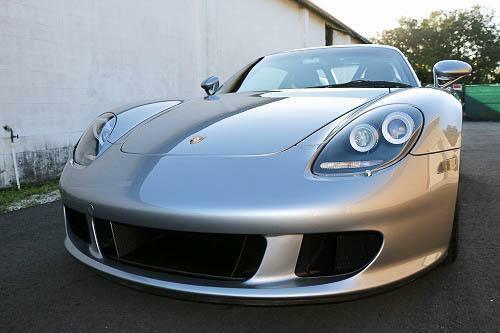 We work on more Porsche’s than any other brand of vehicle we deal with. 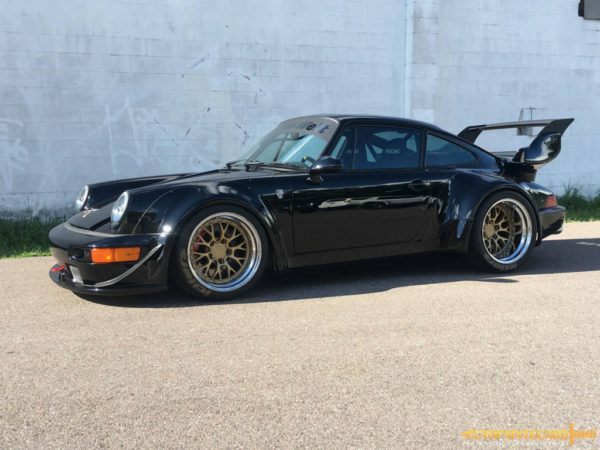 Not only do we have a strong Porsche customer base, we also directly work with Porsche of Tampa and Bert Smith Porsche. Below is some general information on the services we offer for your car and the most popular packages our Porsche customers choose. 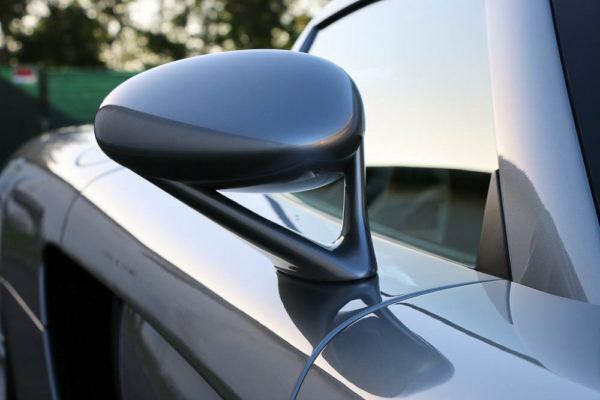 Paint Protection Film is designed to stop rock chips, love bugs, and any road debris from damaging the paint of the vehicle. 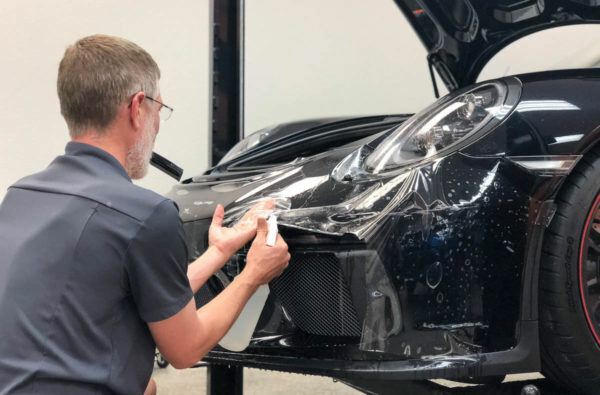 It is 8mil polyurethane plastic film that we apply to the front of the vehicle where the vehicle is at the biggest risk of receiving damage or to any part of the car that you would like protection. We stock all name brand films and can help you decide which film is best for your car the day of the appointment. Below is a diagram of popular paint protection kits we offer. It is best to bring a clean vehicle to us, however either way we are still going to clean the areas prior to installation. First step is to thoroughly wash the area to clean all bugs and blast out any dirt that is stuck in the cracks. Next is to use Iron X and a clay bar which will remove all decontaminates from the paints surface. Last step is to wax the areas with a silicone base sealant to help with installation and removal of the film years down the road. For the customers that want 100% perfect paint prior to installation, we offer a paint correction to the paints surface prior if needed. Standard Package offers partial front protection. Full Front Package offers fullfront protection. Track Package offers ultimate front protection. 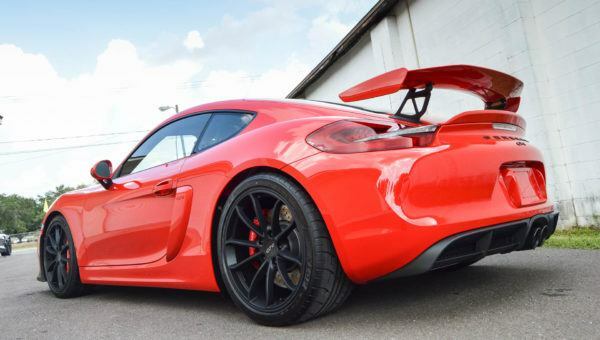 Full Car Package is the ultimate in car protection. A great way to protect your investment to the fullest! Most paint protection films come with a 5-10 year warranty. We typically recommend bringing the vehicle back in 4.5-5 years for an inspection of the film. Depending on use of car and how much sun exposure the film will have dictates on how long the film should stay on your car. If the car was driven hard and in the sun a lot we will recommend removing the film and replacing under warranty. If replacement is recommended, we will charge a removal fee, however the replacement will be covered under warranty. We are currently stocking Suntek and 3M window films. We have most film shades which include 5%, 18%, 35%, 50%, 70%, 80% and 90%. 5% being Limo and 90% being a clear film. All legal shade films come with a lifetime warranty. Florida’s legal limit is 15% in the back half and 30% on the two front windows. IR – (Infrared Rejection) Infrared light is primarily responsible for the heat you feel when driving. 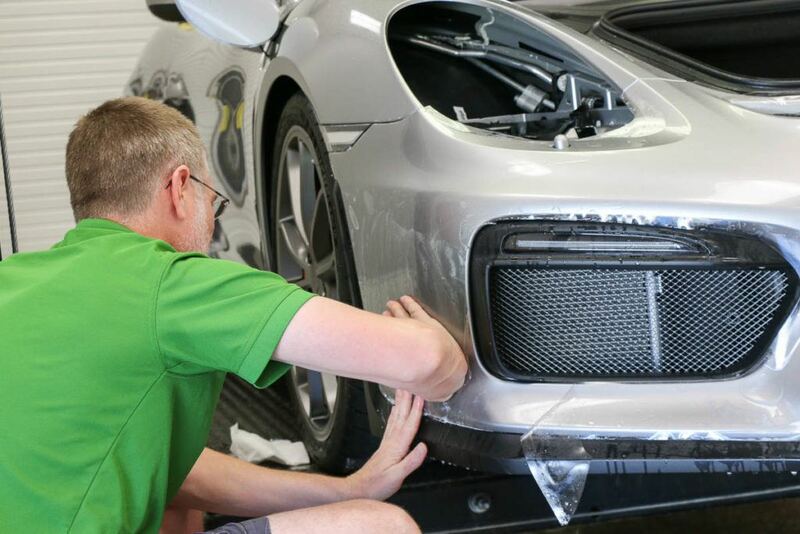 For the customer who is seeking perfect paint and high gloss with ease of maintenance, this process is for you. 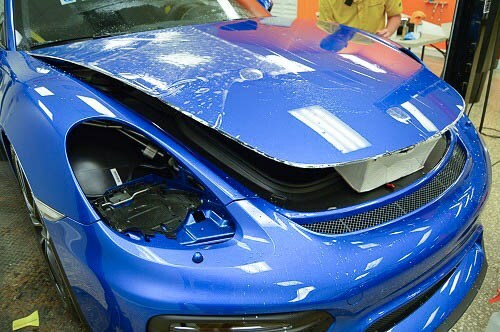 Even though your paint can be brand new, there are tons of blemishes left from the factory. We take the time to remove all swirls, sanding marks and other factory blemishes. This will bring out the depth in your paint. The next step is to use a ceramic coating which will give your paint more shine, higher gloss, and makes the paint hydrophobic and lastly will eliminate waxing up to 7 years. We carry multiple brands of ceramic coatings. Our favorite is Gtechniq Crystal Serum. 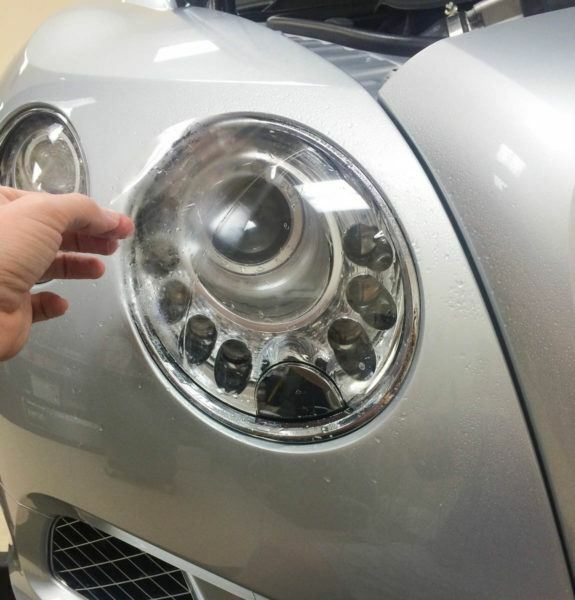 ½ Front – paint protection film – 3-4 hours. 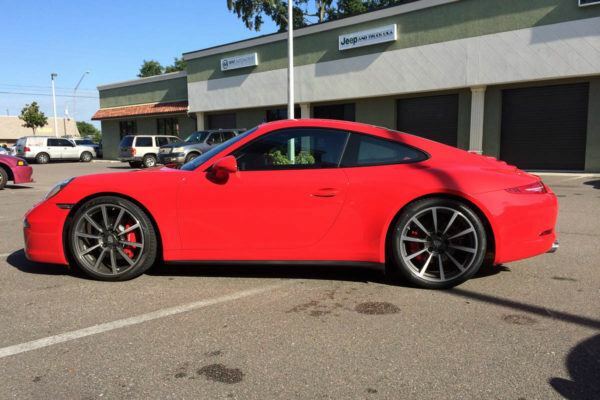 Full Front – paint protection film – Entire day. Entire car wrap – 2-3 days. Window tint – 3 hours on average. Can be installed while PPF is being installed. Paint Correction with ceramic coatings – 1.5 days.